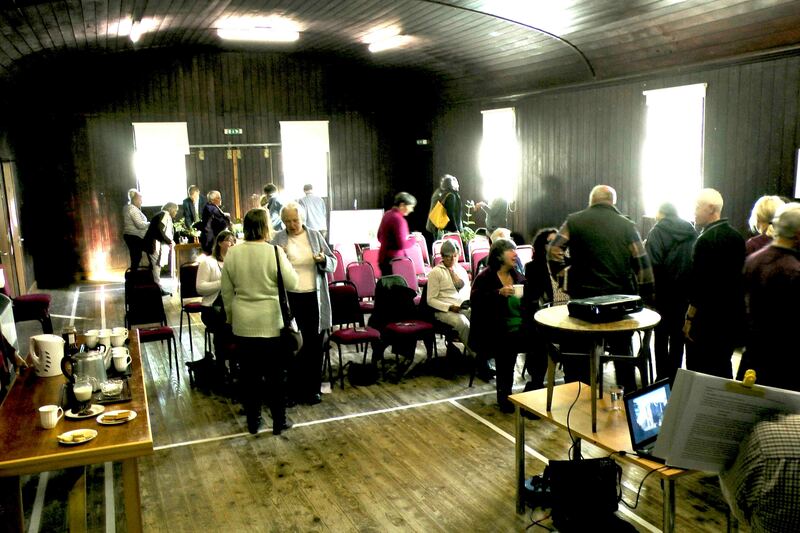 More tips and information were absorbed when Roddy Milne from Picton Castle joined us for our May meeting. He brought with him a colourful selection of blooms from some of the many Rhododendrons, Deciduous Azaleas and other plants currently in flower at Picton. He then gave us a fascinating talk on the ethos of the garden, the trials and tribulations of managing it with very few full time gardeners and keeping interest going in the garden beyond the Spring; plus the joys and wonders of living and working in such a beautiful environment, the role of gardens such as Picton in conservation and education and his hopes for its future. 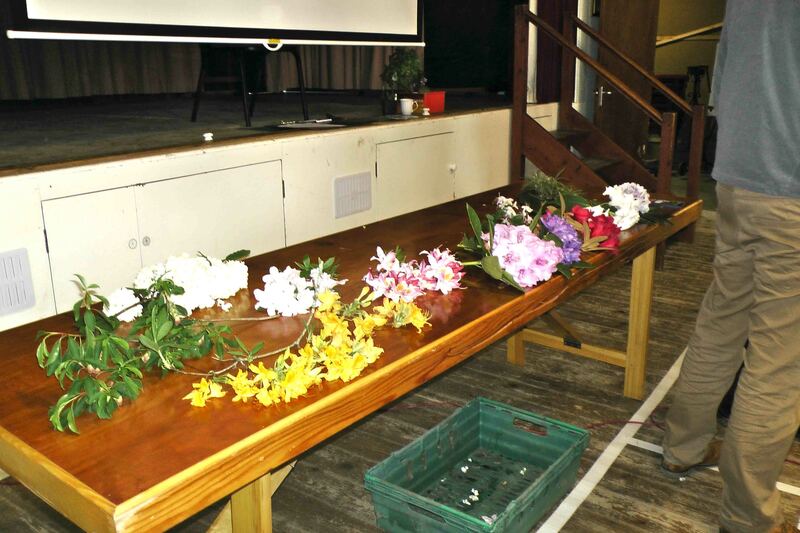 Apart from the actual flowers his talk was illustrated with many photos showing the glorious splendour of the Rhododendrons for which Picton is rightly renowned, along with vignettes of Magnolias, Myrtles, the distinctive Gunnera Walkway and many understorey plants. Well worth a visit at any time. Click here for opening times etc. 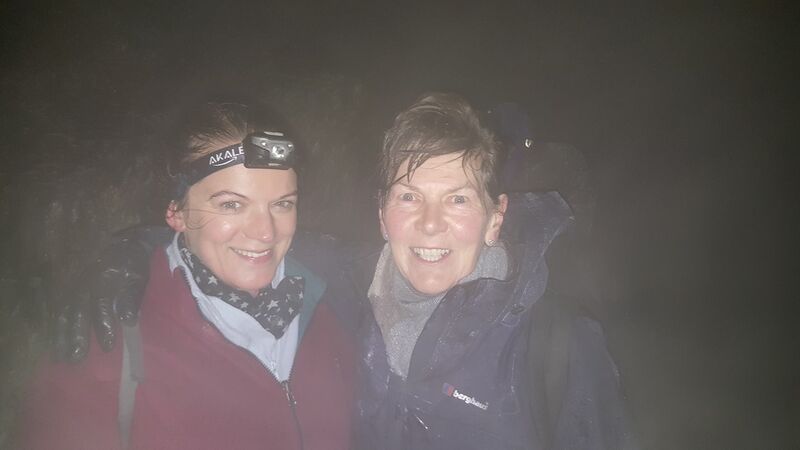 Anne and Philip together with their daughter, Sarah, completed their Snowdon Night Hike on Saturday 22nd May in aid of Breast Cancer Care. According to them both it was surprisingly enjoyable, not as arduous as expected and all this in spite of horizontal rain and strong winds at the summit. They reached the summit in just 3 hours and a further 3 hours saw them back in the hotel enjoying a much deserved, slap up Welsh Breakfast. 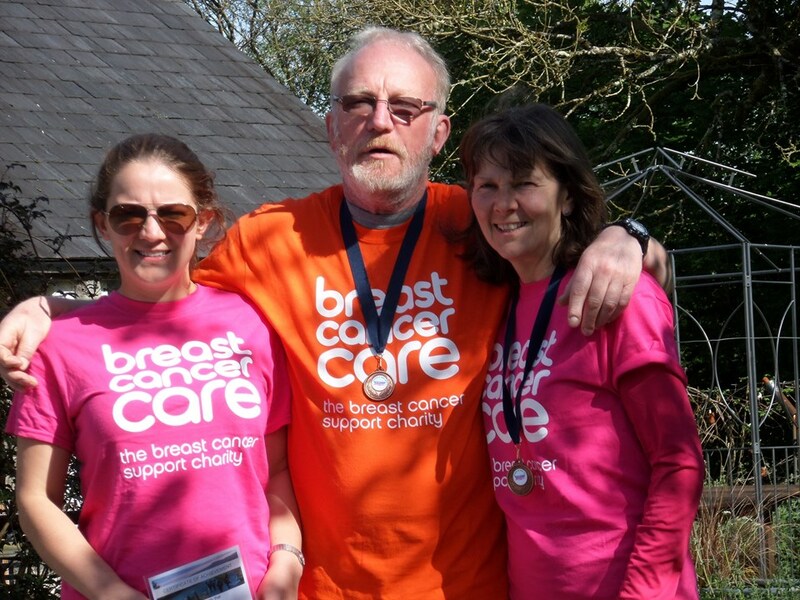 They have raised over £2,400 for Breast Cancer Care. 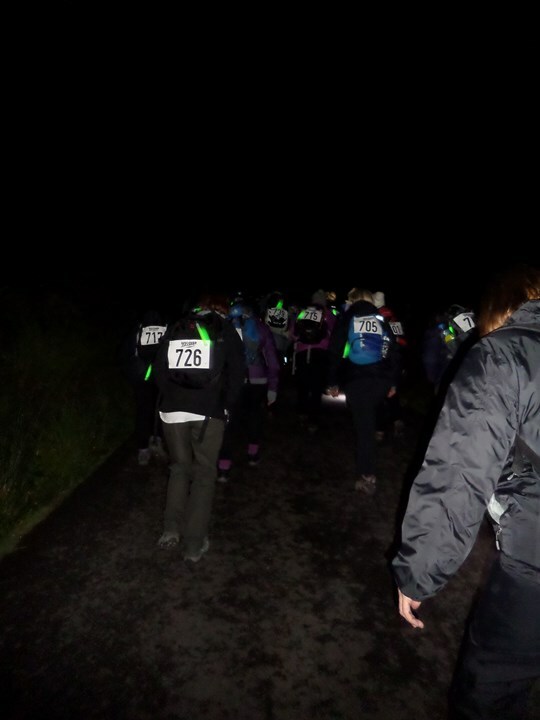 Donations can still be made, just click here to go to the JustGiving page. Many congratulations and well done! 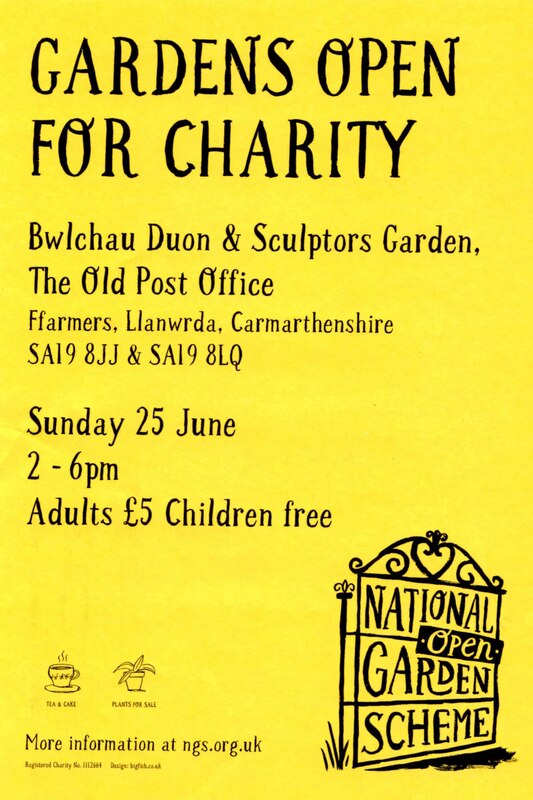 Some Cothi members’ gardens are due to open shortly for the N.G.S., so get your cameras out and pay them a visit! 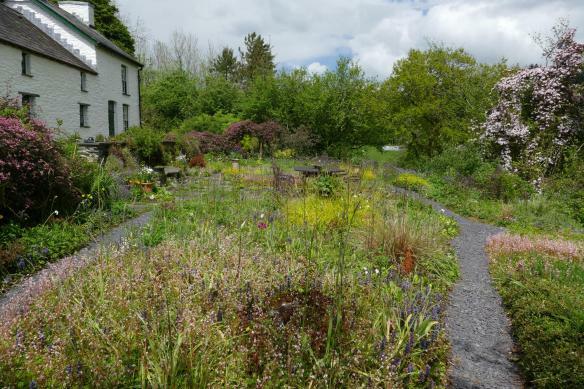 Julian and Fiona were delighted to have their garden, Gelli Uchaf, featured in an article by Noel Kingsbury with photos by Claire Takacs, in the June edition of Gardens Illustrated Magazine (out now) . Click here for a taster of the article (NB only available until the next edition comes out mid June). We are in for a perfumed treat in June when our speaker will be Kari-Astri Davies telling us all about gardening with scented plants. Lavender, old fashioned roses and jasmine are some of the best-known scented plants but Kari-Astri will recommend some more unusual specimens to try. You may want ideas for containers to stand near the door so you can enjoy your perfumed plants as you step outside. Kari-Astri regularly writes for ‘Landscape’ magazine, so we are looking forward to welcoming her on June 21st at 7.30 pm for an evening of “Scents and Scentsability”. Our 2017 Challenge is underway, simply grow something edible and make a dish with it to share at our August meeting. If you haven’t already done so, please indicate on the relevant sheet at the next meeting what type of dish you are hoping to bring so that we can try to balance savoury and sweet offerings. The renowned plantsman, speaker and garden writer, Bob Brown, of Cotswold Garden Flowers is our big name speaker for this year. We will need to start advertising this early so in order to have an idea of how many places we can offer to other gardening clubs we need a rough idea of how many Cothi members are hoping to come, so please can anyone planning on attending sign the relevant form at the next meeting. (From Yvonne) If any plants have suffered from the late frosts, don’t panic! Leave them alone, and then, when the new growth has come through, you can prune the dead ends off. Tip 2 (Yvonne) – It’s nearly time for the Chelsea chop for herbaceous perennials to prolong their flowering. Reduce about a third of the stems, and they will flower later. This can be done with Sedum spectabile, Phlox, Veronicastrum, among the many. Tip 3 (Yvonne) – When your Geraniums have flowered, cut all the growth off, and they will have a second flush of flowers later in the summer. Firstly anyone who has bonfires – save the small charcoal left over at the end, rinse well and think of using it for repotting. It doesn’t degrade like bark or moss. When we had proper holidays…decades ago!! we once saw orchid farms in Thailand growing them in just charcoal in a half coconut! Secondly the roots photosynthesise, so use an old clear yoghurt pot or such like to let light through, drill a few holes into it, and keep it in a larger outer pot. Thirdly I now keep a supermarket basil plant next to the orchids. When it wilts, it’s a reminder to water the orchids. And I’ve now kept this Basil going for over a year. Fourthly I water them with weak feed (in rain water), 3 out of 4 waterings, then one with just rainwater, and do it over a bowl and a cup, soaking the pot half a dozen times, and including running (ie manually pouring) water down the aerial roots, but being careful to keep all the water off the leaves. An additional suggestions from Elena was to add broken crocks to the charcoal to give weight to the pot. Two of my favourite subjects here. Picton and the NGS. It’s a few years since I’ve been to Picton now I hope it is still as great as it ever was. 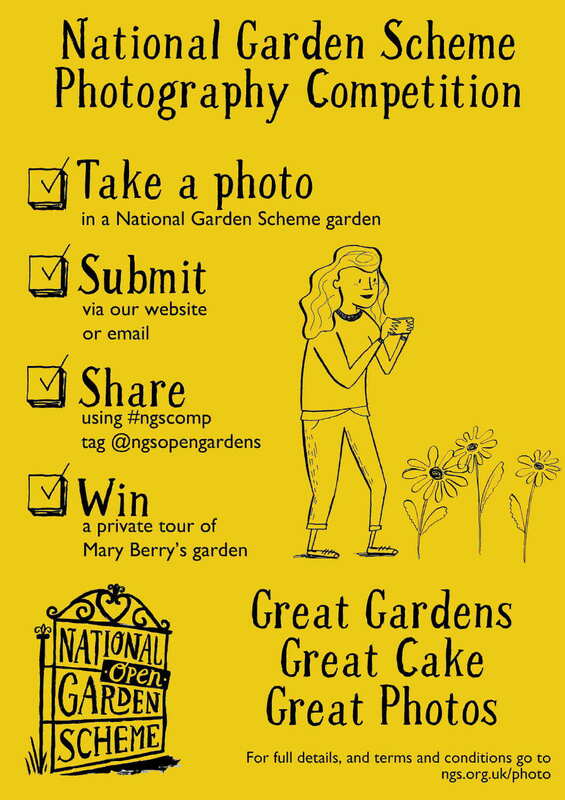 I’m glad the NGS has been featured, it’s always been a good way to see lots of other gardens and a good way to raise funds for good causes. One of my favourite gardens, though no where near here, is Hambledon house in Hambledon, hampshire. A Mecca for any plants person. The Hart Dyke family of course well known for their plantsmanship, Dee is renowned for her salvias and the garden is well tended and always full of colour. What a rewarding way of raising money for charity I think to see such inspiring gardens.